Should doctors play along with the Uberization of health care? Medical startups are creating networks of freelance M.D.s to treat patients on-demand. Despite all of the technology we have to make patients better, the hassle factor remains high, particularly for those common, simple problems. Here’s a hard-to-deny fact about being sick in today’s health care system: Despite all of the technology we have to make patients better, the hassle factor remains high, particularly for those common, simple problems. For example, you wake up for the eighth straight day with a nose full of highlighter-shade yellow-green snot and tooth pain. You call the doctor’s office to make an appointment for a time that probably will require you to leave work or other obligations behind. You drive through traffic, park, check in and wait. And wait. It takes just minutes for your doctor to confirm what you know—you have a sinus infection—and to write that antibiotic prescription. But by that point, you’ve spent an awful lot of time and energy just to get into that exam room. Silicon Valley entrepreneurs are trying to change this. Lemonaid Health is one such a company that, in chief medical officer Davis Liu’s words, is focused on “getting people hassle and worry-free care.” In 14 states, patients can download the company’s app and in a few minutes complete a questionnaire related to one of eight very simple health concerns, including sinusitis, birth control needs, and acid reflux. Once the customer submits the answers, they are reviewed by a Lemonaid doctor who can then issue a prescription—all for a flat price of $15. “We are the doc in your pocket,” Liu told me. All around the Bay Area, technology companies are trying to Uberize health care: Use your smartphone to summon medical advice on demand. According to Rock Health, a health-tech venture fund, on-demand health care companies saw 300 percent year-over-year funding growth in 2014. There’s also growing interest on the part of consumers: In 2015, 1.25 million patients connected with a doctor using telemedicine (phone or video, for example). Uberizing health care requires that doctors and patients embrace the the “app economy” to give and receive health care. More specifically: Will patients use their smartphones to pick a stranger to take care of them? One, as with services like Lemonaid, whom they may only meet via faceless email communication? Are the conditions, medically and economically, right to make this a long-lasting business model for doctors and insurers? Many of the companies in this space are starting out by targeting a very particular population: younger, healthier folks who have a straightforward medical problem. HealthTap, is another startup seeking to provide on-demand access at a lower price than your doctor’s office. The company’s CEO and founder, Ron Gutman, compares HealthTap to Amazon, which combines online shopping with real-world logistics and delivery. HealthTap promises to guide the patient “from query to cure.” An early artificial intelligence product allows patients to have their symptoms assessed and be given options about what to do next. There’s also a network of HealthTap doctors, 107,000 spread across the United States, who can field a question that a patient poses or see a patient on demand. It also offers patients the option of doing a phone or video consult with a doctor-on-demand in its network. Yet besides Chief Medical Officer Geoff Rutledge, HealthTap employs no physicians. “We are a technology company,” Gutman firmly proclaimed. If that sounds familiar, it’s because Uber says the same about itself, denying it’s in the taxi or transport business. Both companies get freelancers—drivers and doctors—to do the work. HealthTap, like Uber, does pay a percentage of a customer’s premium fee for a virtual consult by phone or video. But what seems most remarkable is that the 107,000 doctors who respond to more general patient questions (spanning a variety of issues including questions about pregnancy, drugs, and child behavior) do so for free. Lemonaid takes a slightly different approach, employing a handful of doctors across specialties to help develop its questionnaires and to be the doctors providing you a consult by video or telephone. “We view ourselves as a consumer-facing health care company enabled by technology,” Liu told me. As a doctor, I am torn about this. On one hand, health care needs (many would say is overdue for) disruption. There’s little to no incentive for us to take care of you by video, phone, or email. We don’t profit at all or as well as if you came to see us in person. This isn’t the fault of doctors so much as it is of the entire value chain of health care, which is locked up between employers and payers (i.e., insurers), which determine when and how much we get reimbursed. It also hamstrings improving a patient’s experience. Enter the value proposition of companies like Lemonaid and HealthTap. On the other hand, I have to wonder: Would I one day be the taxi driver displaced by Uber? Uber is very openly pushing self-driving cars as the future of its business model. That’s bold and exciting. But then what happens to all those Uber drivers when they’re not needed? For example, another Bay Area startup makes a $200 iPhone attachment that turns it into an otoscope, the instrument pediatricians like me use to look inside a child’s ear to see if she has an ear infection. The device allows a parent to look at the eardrum, take a picture, and then for $49, upload that picture so a doctor-on-demand can make a diagnosis and save that parent a trip to the emergency room in the middle of the night. With enough photos, a machine could potentially learn to do what the doctor currently does: Diagnose an ear infection by comparing a single photo against its “experience”—a digital library of millions of other eardrum photos. The machine would eat a big chunk of my work. For doctors, working on demand for a technology company minimizes idle time, the same way an Uber driver can make extra money between shifts at a part-time job. We all have time slots that go unbooked or patients who fail to show up. That’s lost income, so if I’m signed up as a doctor on demand, then I can fill that space with a virtual consult. But Rock Health’s analysis pointed out some sobering differences between Uber and doctor-on-demand companies. For one, the average consumer uses Uber 100 times a year at about $25 a ride; the driver gets 20 percent of that. Patients, in contrast, see doctors an average of four times a year. In an on-demand model, that could be spread out among four different doctors, each of whom may get 25 percent of whatever the patient’s fee is. When Uber raises its prices (surge pricing, for example), customers may not like it, but they still use the service. In health care, on-demand services risk running into people’s lack of willingness to pay more in an area where many are already paying bigger chunks of their income for insurance premiums and copays for doctor visits. Finally, does any of this bend the cost curve? For employers and insurers, the big payers in the room, the HealthTaps and Lemonaids of the world need to prove they’re controlling health care costs and keeping people at work. A recent study published in the journal Health Affairs looked at just this question. Researchers reviewed insurance claims of 300,000 patients who consulted virtual versus in-person doctors for common cold and flu symptoms. The researchers found that yes, it’s substantially cheaper to see a doctor virtually. 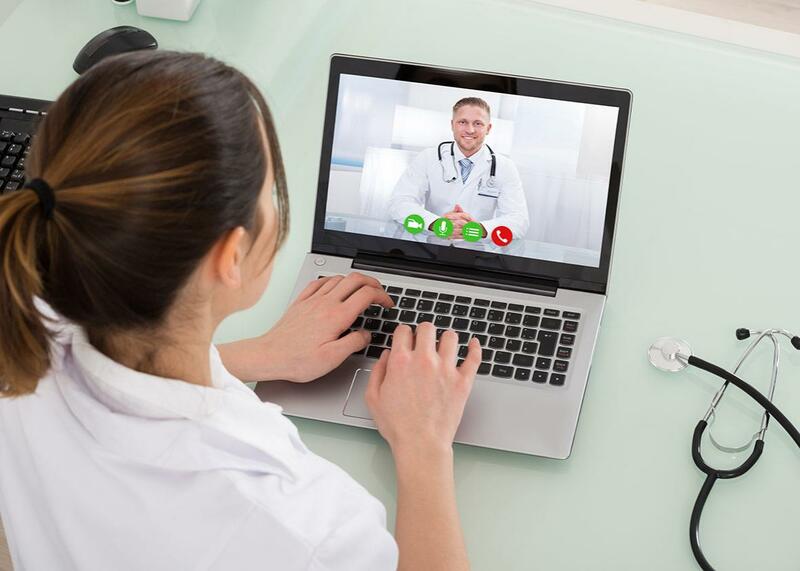 However, when they looked at the overall impact of telehealth on cost, that savings were erased because, in essence, the visits were not by patients substituting one visit for another. Nearly 9 out of 10 visits were patients who would have done nothing instead of seeing a doctor for their cold (which would have gotten better regardless of that extra visit), thus increasing utilization of health care services and incurring brand-new costs to insurers and employers. The study illustrates the natural tension between the small-scale benefit to a single patient and the larger impact on the health care cost curve. By making it easy to see a doctor, you take away what in the long run still matters: seeing your own doctor. To that end, it would be better if those of us in the brick-and-mortar health care industry took a look at the tools being built in Silicon Valley and lowered the barrier for doctors to adopt with their own patients. I’ve used video, phone, and secure email with patients in my practice, and when I know the parent of the child I’m communicating with, it’s better for both of us. It’s hard to quantify, but trust and familiarity between a patient and her physician, someone who knows her and her health problems, is one of the greatest efficiencies in health care. There’s less time and effort getting to know all the nitty-gritty details of that patient’s health history and more time to focus on the problem at hand. And patients leave with a greater sense of confidence with the outcomes of the visit based in the relationship, not the technology.